I'm obsessed with the Food Network and Cooking Channel so I was beyond thrilled to attend Pinnacle's Unexpected pairings with Chef Claire Robinson! If you're not familiar with Claire she has her own show, 5 Ingredient Fix and she also hosts other challenge shows on the Food Network channel. Last week she conducted a live cooking demo of 3 dishes that we were able to taste in a sit down dinner later that evening. 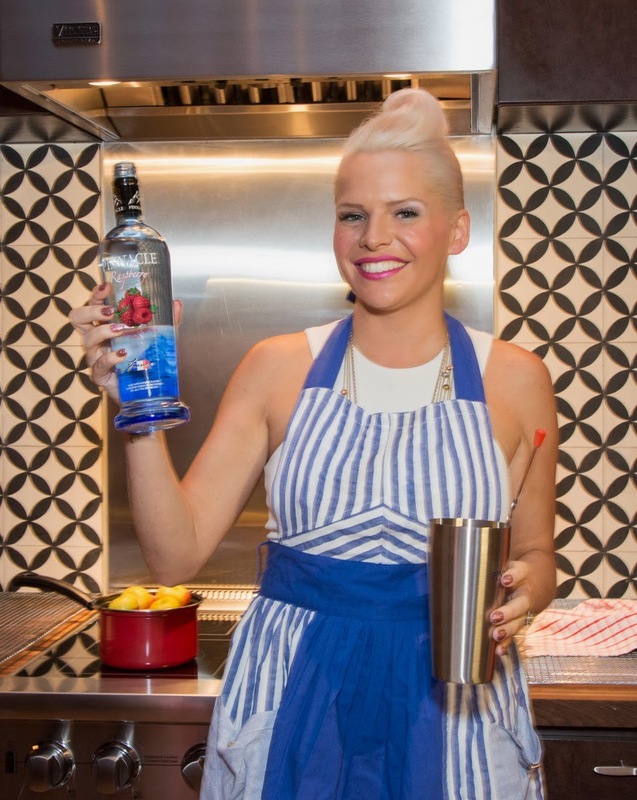 Each dish was paired with a cocktail by celebrity mixologist Niccole Trzaska. 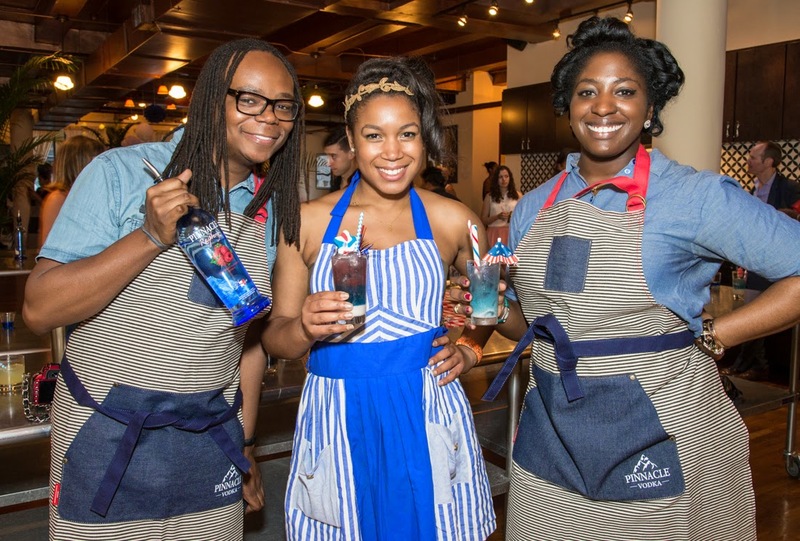 After the cooking demo were we split up along two tables for a 4th of July inspired cocktail demo. 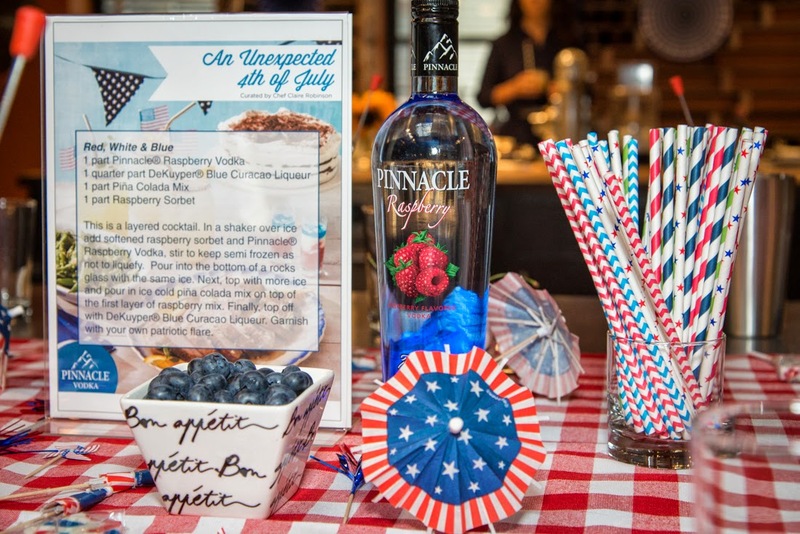 The drink was red white and blue with whatever garnishes your heart desired. Surprisingly mine turned out pretty awesome (you can see it below in my instagram collage)! After that, we all sat down to a delicious dinner featuring the below listed 3 dishes made during the cooking demo. Everything was so good! I don't even like peas, but I got seconds of the snappy ginger garlic peas; lol. Mix ingredients over ice shake and strain over fresh ice in a rocks glass. 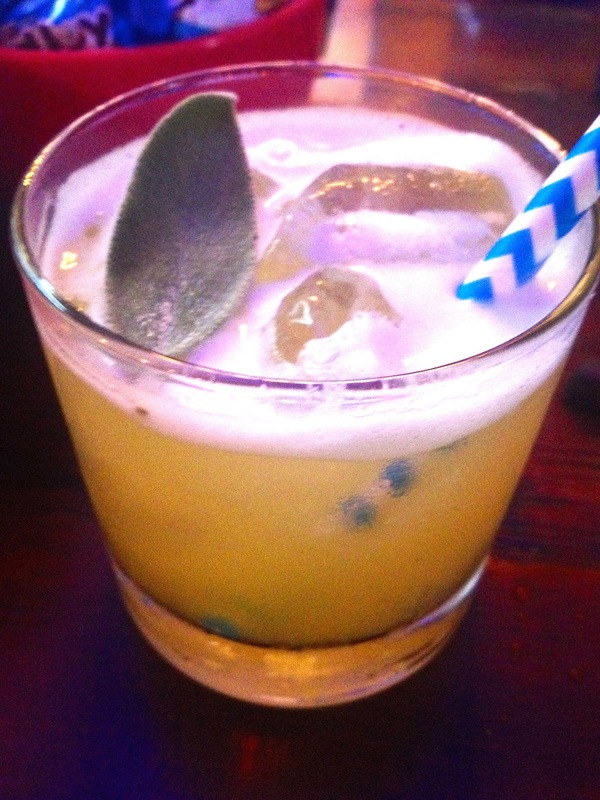 Garnish with a sage leaf (make sure to tap the sage leaf between palms or snap in the fingers to release its essence). In Claire's words "BYOC" meaning be your own chef. 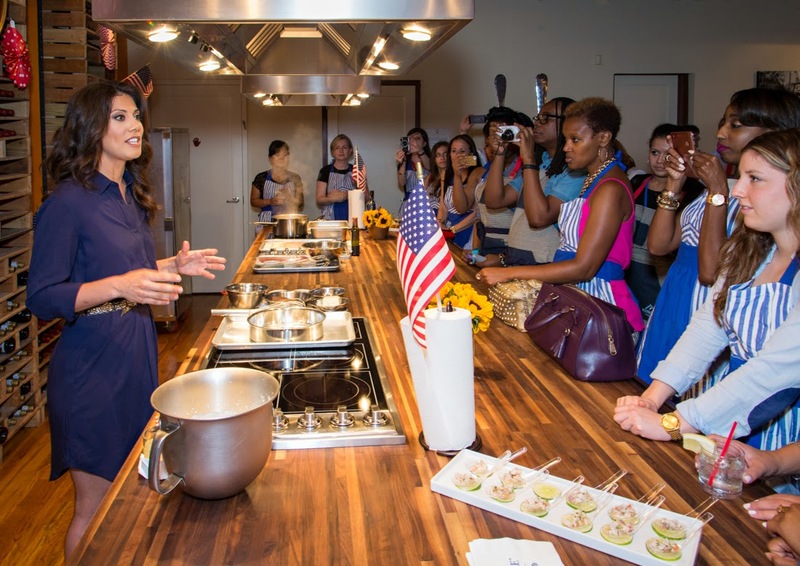 Don't be afraid to make a recipe your own and enjoy the experience of cooking be comfortable and have fun! Prepare a bowl with icy water and set aside. Cook peas in a large pot of boiling salted water until just tender, 2 to 3 minutes. Transfer to a bowl of icy water to stop the cooking. Drain peas and pat dry. Whisk together ginger, vinegar, and oil. Add peas and sesame seeds and mix. Season with salt and pepper.